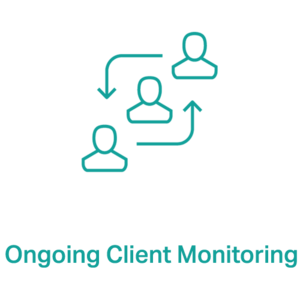 At NorthRow, we work with a number of the UK’s leading Estate Agents and PropTechs to help automate AML and Right to Rent checks, streamlining the client onboarding process whilst helping to ensure compliance . NorthRow has access to one of the largest databases of screening information available in the UK, meaning our clients can perform comprehensive identity verification checks on buyers & sellers, tenants, landlords, companies and all relevant ID documents in a matter of seconds. NorthRow offers estate agents the ability to leverage leading edge technology and best practices to ensure regulatory compliance and the ability to expand existing practices to address new and emerging regulatory obligations. The due diligence practices within the property sector have traditionally been manual and slow. With NorthRow, estate agents can perform real-time automated checks, for a much smoother customer onboarding process. As well as doing everything in real-time to drive operational efficiency, it automatically stores all of the data, creating an audit trail with documents appended in a fully secure and encrypted manner. The NorthRow solution adds rigour to existing regulatory background checks.